Advisors: Are you ready for the 1 billion? 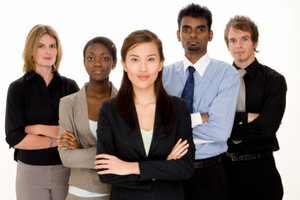 Firms need to reflect the diversity of their client base. In Investment Advisor’s October 2013 cover story, “Where Are All the Women?” Danielle Andrus suggested that financial firms need to reflect the diversity of their client base. That’s where things are going to get interesting, because there’s a mushrooming population of wealthy African-American, Hispanic and Asian-Indians in the United States. Moreover, one billion women are projected to enter the global economy over the next 10 years. Does your firm align with these trends? “Advisors can step in and fill this gap,” says Jyoti. “There is a tremendous opportunity from a marketing and go-to-market approach.” Perhaps this is why BNY Mellon continues to develop and enhance its global strategy on diversity and inclusion. BNY Mellon takes a holistic approach to its diversity and inclusion initiatives. From a recruiting perspective, the company is visible in the marketplace with diversity-focused career expos, developed a Signature Leadership Forum designed to bring thought leadership to diverse talent in banking and financial services, and has formed strategic alliances with centers of influence such as ALPFA and the Council of Urban Professionals, among others. Jyoti says more and more clients ask for and are interested in diversity information in the RFP process because there is a clear recognition that diverse teams are more productive and bring valuable thinking. A future trend to watch, says Jyoti, is women in the workforce. Projections from major consulting firms predict one billion women will enter the global workforce in the coming years. If you agree with Danielle Andrus that financial firms need to reflect the diversity of their client base, then recruiting and retaining women advisors should be an important focus for your advisory firm. The challenge now, says Kim, who is Pershing’s Global Head of Segment Marketing and Practice Management, becomes how to recruit and retain successful women. What are the best practices? In terms of best practices, Kim says it “isn’t enough to say you want to recruit women. Look at the associated experience and ask yourself: Are you really serious about it?” For instance, she says some firms are looking at compensation differently, providing a higher base salary versus high variable compensation that may fit better women advisors who are single heads of households. She also suggests that those firms that are looking to attract women employees should focus on issues like flexible work hours and maternity leave. “Look at how you’ll manage and message it with the women you hire and their colleagues,” says Kim. Whether you are part of an independent advisory firm just beginning to explore different recruiting initiatives, or you are part of a larger organization like BNY Mellon with a fully fledged diversity and inclusion program, there are resources to assist you, such as Pershing’s Practice Management website, www.pershing.com/ideaswithoutlimits, and a Feb. 11 webinar featuring advisor Caleb Brown and recruiting expert Mindy Diamond: Positioning Your Firm to Attract and Recruit Talent.